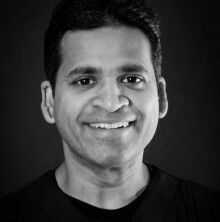 Dr. Suresh Appan was born in India and graduated with a Bachelor’s Degree in Dental Surgery (B.D.S.) in the year 2000. He practiced dental surgery for 10 years in Chennai, India before coming to Canada. During his dental career, he served the diverse Indian Community both in private practice and in the Government Hospital. Dr. Appan completed his Doctor of Dental Surgery (D.D.S) at Western University, London, Ontario in 2015. Dr. Appan is Proficient in all aspects of General Dentistry including cosmetic Dentistry, Extraction and Root canal therapy. He has received additional training and certification in Nitrous Oxide sedation and Invisalign. Dr. Appan regularly participates in continuing education programs to keep informed and to give the best quality care to his patients. Dr. Appan is very much recognized for his warmth, friendliness and approachable manner. His desire is to ensure that all his patients have a positive experience while in his care and are extremely satisfied with their results. Dr. Appan’s goal as a dentist is to ensure the patient is comfortable before starting treatment and to leave with a BIG SMILE. 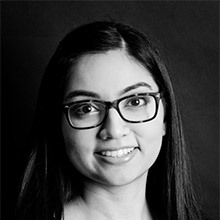 Dr. Appan is a good standing member of the Ontario Dental Association and RCDSO. He is an active participant in the Bay of Quinte Local Dental society. Dr. Appan spends his leisure time playing volleyball and cricket. He is happily married and has two little girls whom he enjoys spending time with. I earned my Honours Bachelor of Medical Sciences and then completed my Doctor of Dental Surgery (D.D.S) at Western University in London, Ontario. 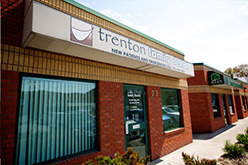 Since then, I have moved to the Quinte region and have been excited to take care of the dental needs of my new community. I regularly attend continuing education courses in order to provide a high quality of dental care. Making my patients feel at ease is my priority and I strive to provide a comfortable dental experience. I am a member of the Royal College of Dental Surgeons, the Ontario Dental Association and the Canadian Dental Association. In my spare time, I enjoy cooking, painting, traveling and spending time with my friends and family.